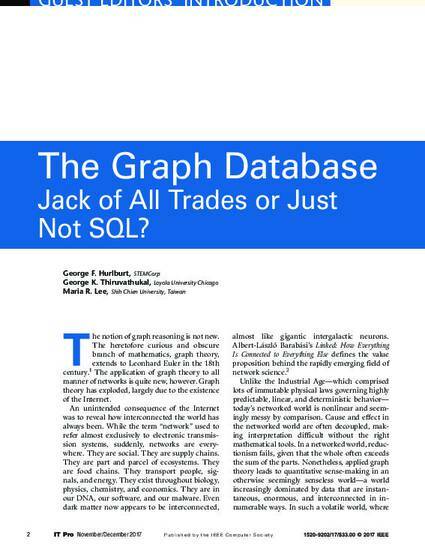 The Graph Database: Jack of All Trades or Just Not SQL? This special issue of IT Professional focuses on the graph database. The graph database, a relatively new phenomenon, is well suited to the burgeoning information era in which we are increasingly becoming immersed. Here, the guest editors briefly explain how a graph database works, its relation to the relational database management system (RDBMS), and its quantitative and qualitative pros and cons, including how graph databases can be harnessed in a hybrid environment. They also survey the excellent articles submitted for this special issue.